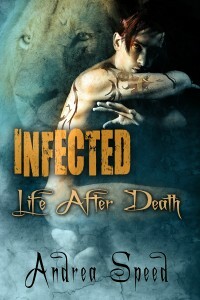 My six sentences are from Infected: Life After Death, the latest book. As Roan grasped his upper arm firmly, trying to staunch the flow of blood, he wondered how he‟d gotten himself into this mess. Maybe the problem was this was another male lion, one not inclined to fold, but also, he could smell illness coming off of it—it wasn‟t right in body or mind, and therefore it was not assessing threats correctly. 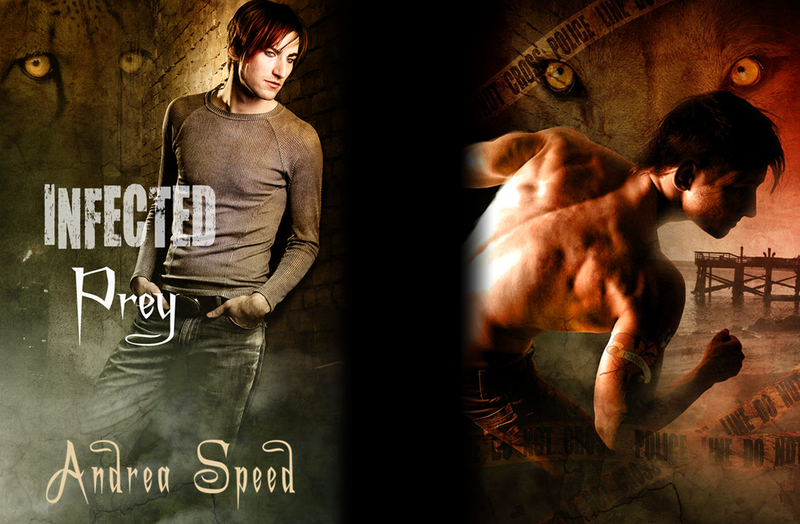 The panicky people didn‟t help either; their fear was sharp in the air, and it was making Roan salivate just as much as the lion growling in the alley. “Roan—” Dylan asked pleadingly, visible in his peripheral vision. “Get away!” he snapped, and as the lion took a step forward, Roan took a step toward the cat as well, roaring a challenge that made its ears flatten against its scalp. It knew he was injured, but it also had to know he was still stronger than it was.